At least one person dies every day due to the very avoidable condition of a lack of suitable shelter, while swathes of luxurious buildings lie empty & unused.. This cannot continue! Enough is enough! Join us to commemorate and honour those that have died and to fight back against swinging cuts to services leaving people vulnerable and the creeping criminalisation of those experiencing homelessness. Bring your candles, banners, placards, names of those that have died. 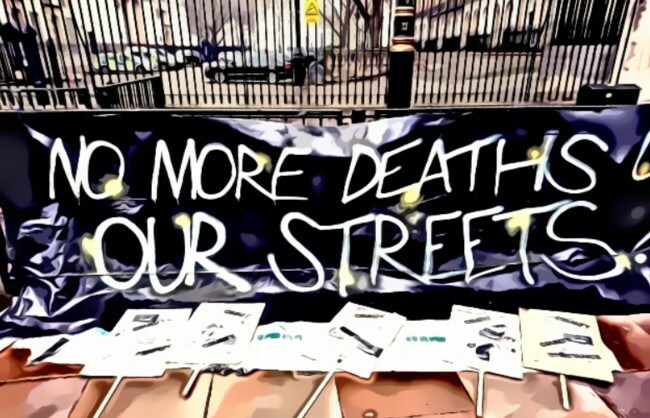 Let’s come together and demand NO MORE DEATHS ON OUR STREETS! Please spread the word and bring your friends and family. If you are part of a group/union/anything please add your name to our call to action..